It was that decade when MTV helped define pop music for a whole new generation, helping to launch the early careers of Madonna while launching Michael Jackson into the music video stratosphere. 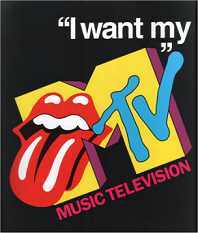 In 1981, MTV changed the industry by playing 24/7 music videos, with the tagline "You'll never look at music the same way again." MTV helped launch the career of pop star Madonna who also went on to become the decade's major fashion trendsetter. 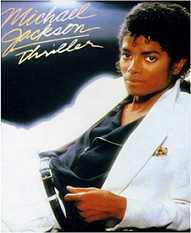 Michael Jackson's Thriller became one of the top selling albums of all time and won a record-breaking eight Grammy Awards in 1984. 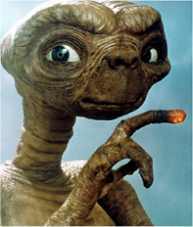 Steven Spielberg's ET, The Extra-Terrestrial thrilled audiences of all ages when it hit theaters in 1982 and became the highest-grossing film of the decade. 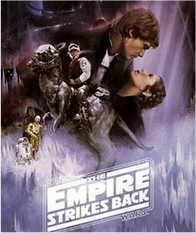 The second episode in the Star Wars trilogy, The Empire Strikes Back, opened in 1980 and is today considered the best installment of the blockbuster film franchise. 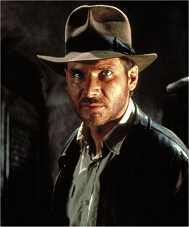 Star Wars leading man Harrison Ford was back as Indiana Jones in Raiders of the Lost Ark, another hit by director Steven Spielberg which opened in 1981. The 80's Movies Rewind - A great collection of reviews, information and trivia, photos, soundtrack details and credits for every major and minor motion picture from the decade, including a 150 Top list, related links. The Authentic History Center: 1972 - 1992 - Audio clips of the American decade's famous political speeches, news and sports broadcasts along with politically charged images. The History of MTV - The cable program that began in 1981 and went on to make household names of Madonna, Duran Duran and countless others, courtesy of Wikipedia. 80's Cartoon Central - Get your dose of Baby Smurfs, Fraggle Rock, Transformers, Schoolhouse Rock and more 80's kidstuff, browseable in an A-Z list of more than 300 titles and references with histories, images and background info.